Happy New Comic Day! This is a fun week I tell ya. We have Avengers hitting theaters and Free Comic Book Day which is always fun. Add in the return of Valiant Comics with X-O Manowar #1 hitting shelves and there is plenty for fans to happy for this week. 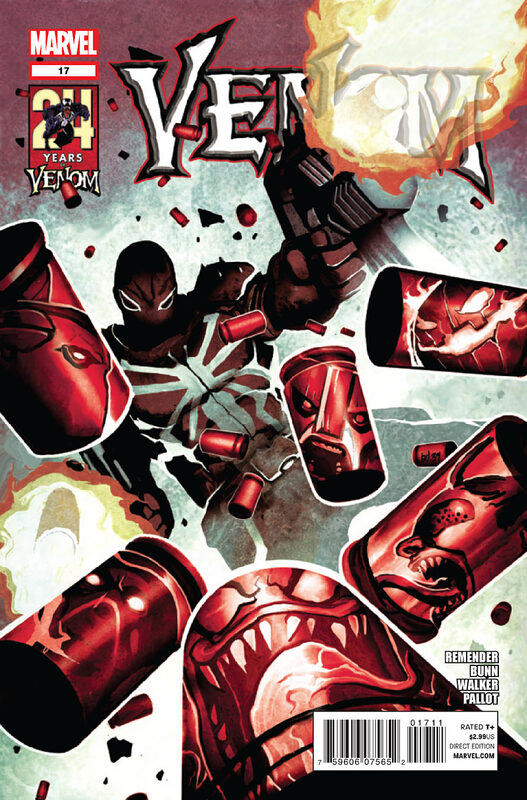 This week's winner is Venom #17. I read the first issue of this series, but didn't care enough to bother reading more. But of course that wouldn't eliminate the book from taking the weekly crown. 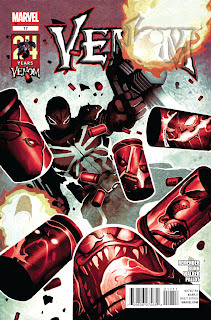 Brought to you by Mike Del Mundo, Agent Venom here is falling back while firing off rounds at several enemies. I like how the reflections of those targets are shown on the shells. It's a cool look. If any of you are reading this series, I'd like to hear your thoughts on whatever is happening with the book. Thanks for looking. Happy reading.